There is no English state within the UK—no English passport, Parliament or currency; nor is there any immediate prospect of one. But that does not mean that England lacks an identity. The extent to which English nationalism has a deep history is a matter of controversy. Jeremy Black argues persuasively for its existence from ‘the Old English State’ onwards, predating the Norman invasion. 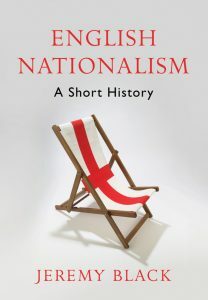 By looking to the past, he seeks to understand England’s historical identity, and what it means for English nationalism today. English Nationalism also probes how other nationalist movements within Britain have helped shape an English identity. Has hostility to ‘England’ and ‘Englishness’ been the principal driver of resurgent English nationalism? The Brexit vote may appear to have cancelled out Scottish and other nationalisms as an issue—but in fact it has made what it is to be English a question of great urgency.